Oil prices resist to depart higher from $80 per barrel but actively trying to attract more buyers. Trump accuses OPEC of inflating prices on oil and promises to “retaliate”. Prices erased one dollar from his tweet last week, but already today they again approached their local highs. From the point of view of the “volume profile”, the level of $ 80 per barrel is the top point of the resistance range, which is in the region of 72-80 dollars. Trending higher 80+ and securing in this area will allow the quotes to focus on higher goals. At the same time, prices “walk” around the line of the upward trend that began in July 2017. While the quotes can not go above it and they are still below the trend line, which in turn makes the probability of a decline sufficiently high. 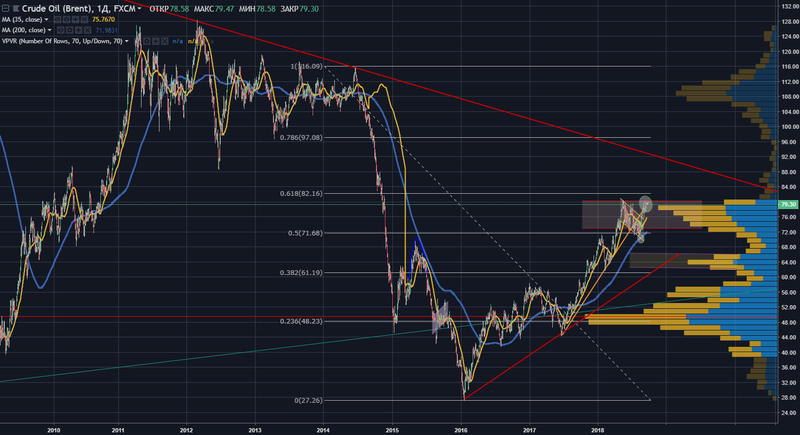 The fight for $ 80 is a very important tactical “battle” for the near future for oil. If the prices manage to close two trading sessions above $80, then the next target for “black gold” may be even higher than $100. At the same time, a weaker dollar and euphoria on the stock exchanges may support oil prices. But if traders will not be able to break the resistance level, prices can quickly fall to $72 per barrel. 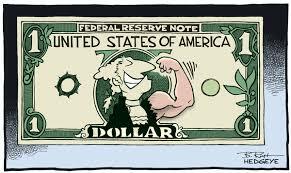 Why did the dollar felt good in the first half of the year but since August it has moved to the decline? The Fed began to reduce its balance sheet at the end of last year. In addition, tax reform was carried out, which led American companies to repatriate their capital to their homeland. In January-June, they returned almost half a trillion dollars to the country. 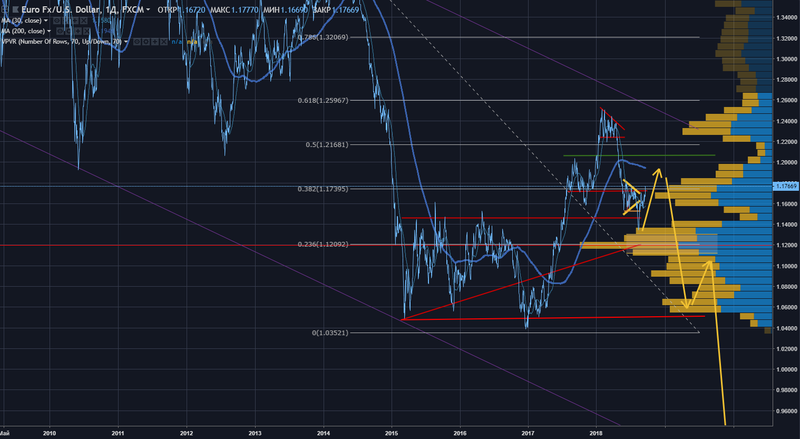 Against the backdrop of a decrease in the balance sheet from the Fed, these actions together could provoke additional demand for the dollar and put pressure on the euro. Now, perhaps, the inflow of funds has slowed slightly. In addition, in February this year, correction happened on US stock exchanges, after which investors began to withdraw their capital from emerging markets, including from Europe. Now the wave of seizure is over, but, in our opinion, this was only the beginning. In general, the current situation is very similar to the end of the 90’s: first the crisis occurred in emerging economies, and then only after a few years the “fire” spread to the United States. And the world’s problems did not prevent the bubble from inflating on the United States stock exchanges. Simultaneously, despite the trading “wars”, the rally resumed in the American markets, which led to an increase in appetite for risk. In our opinion, optimism in the stock markets will lead to continued growth of the euro against the dollar. While the target for the American currency is 1.19-1.20. Vertical correction of the euro may end with the rebound of emerging markets. In the future, according to our estimates, the markets will cover a second wave of sales and panic, and the traditional “quiet harbor” – the dollar.